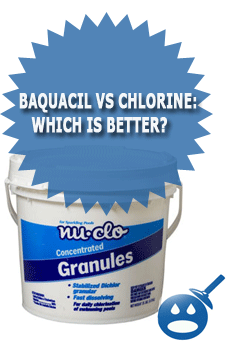 Baquacil Vs Chlorine: Which Is Better? Both systems are designed to help eliminate bacteria and control algae from taking over your swimming pool. Chlorine is strong chemical that can really help keep your pool clean this year. The Baquacil System is working for the same purpose but this system does not contain any chlorine at all. When it comes to choosing a system, there are many positives and negatives for using both systems. Let’s take a look at both systems and see which one you believe can help you the most. We will look at the Baquacil System and see what this method has to offer as well as the Chlorine System and see what benefits each system has. Read on and see what system will work best for you. Every swimming pool owners know the power of chlorine. Some pool owners use this system straight and some use other products that contain chlorine. Chlorine comes in tablets, powder or liquid. By using chlorine you are ensuring the health of those who swim in your pool by the fact that chlorine is strong enough to kill any bacteria and get rid of any organic particles in your swimming pool. The method of chlorine is to test your swimming pool’s water and then add the right amount of chlorine. Too much chlorine can cause eye and skin irritation but the right amount will keep your swimming pool clean as well as clear. While chlorine is very important to your swimming pool, it is very pertinent that you test your swimming pool water accurately and then measure the chlorine properly. You can use tablets that you drop into the skimmer basket or inside a floating chlorinator. Liquid Chlorine you simply pour into the swimming pool as your filter is running. There are many different ways to go about adding chlorine to your swimming pool. The best way is the way that works for you. Swimming pool owners have been using chlorine for many, many years. This way works for them and some don’t believe that there is another product that they can get the same results from without using the chlorine. The Baquacil System is available online and in some stores, it is a chemical free system that works with the environment. Due to the no chemicals included into this system, it won’t harm the environment. The Baquacil System consists of a Sanitizer and Algistat. These products are not as harsh as other chemical included products. This system works great against bacteria. These two products work together to work against bacteria and algae. The best part is that is won’t evaporate with the sunlight. You can maintain a great amount of protection of your swimming pool by using this system. Both systems have their pros and cons; lets take a look at some of these pros and cons. The first and what some pool owners look at first and that is price. 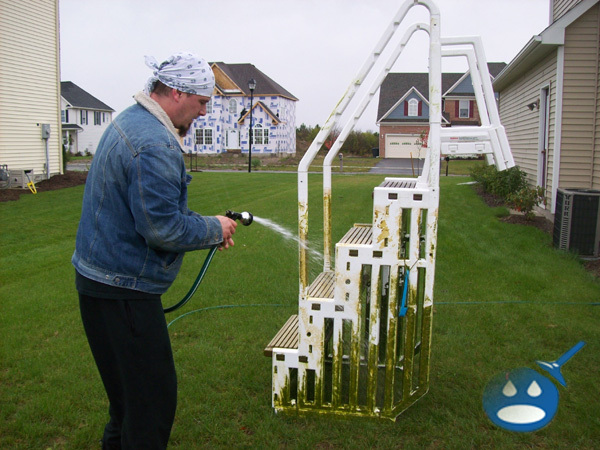 The Baquacil System is not that expensive but since it comes in three steps, it comes out more than chlorine itself.The Baquacil is environmentally friendly and won’t hurt the environment. The Baquacil System also recommends preventative products that work but they are an additional cost. All of the products are effective but they may not work as fast as chlorine. As for Chlorine, the best features that it is very powerful and it is fast to change the chemistry of the swimming pool even though these are slow dissolving products. When you consider price, you see that chlorine itself is a great price but if you are adding a chlorinator or a floating dispenser it will cost you extra money but it is a one-time cost. So in the long run it may be well worth it. With the Baquacil System you won’t have products that irritate the eyes or the skin or even turn your hair green. This system is environmentally friendly and chlorine is not. There are cautions when using chlorine such as irritation just from touch it and the vapors than come from the chlorine when it is in the bucket can be over powering. The best way to determine whether or not, you are making the right choice, you should get all of your information and see which system will work for you. You should compare pricing as well as the amount of times you have to use the products and if you use the Baquacil System, you will need to use the Baquacil Test Strips. The regular strips will not work on this system because the Baquacil System doesn’t contain chemicals and it won’t give an accurate reading on regular test strips. These two systems are great in their own ways, each has some great pros and both have negatives. You want to do what is best for your swimming pool and by taking a look and examining what each product can do for you, is doing the best thing for your swimming pool. Every year pool owners dread the maintenance of their swimming pools and a reason for that may be that they just haven’t found the right system. The Baquacil and the Chlorine System are two of the best methods for keeping the swimming pool clean and healthy. If you aren’t sure after you gathered all of your information, the best way to see the difference in the swimming pool products is to use both of them. 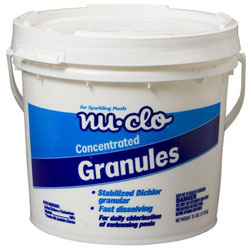 One month use the chlorine and the second use the Baquacil System and see which one kept your pool cleaner longer. Then you can see for yourself the effectiveness of each product. It may cost you upfront but in the long run it can save you a lot of money. It Might Be Better To Shock The Pool! you might want to mention that chlorine wipes out the integrity of your pools pvc sch 40 pipes over time. Have used Baquacil for 10 years, haven’t ever regretted it and the cost is the same as my other family members who use Chlorine. The benefits of Baquacil are so great I would never change to Chlorine. The new thing is Salt Water Filters what do they use and what is the benefit of this system? Kala; Well water is living water not like dead chlorinated city water so when you chlorinate it , it turns brown for a few days just keep the pump running and clean the filter several times a day and you will have your dead crystal clear water. Chlorinated pools have to be checked every day once you get it balanced which is not a real problem, Baquacil once balanced generally only needs attention once a week. My family loved the Baquacil as they were having red eyes with the chlorine but with the Baquacil they had no problem. The choice is yours, either one works fine as long you stay on top of any problem that arises.